Instagram is one of the most popular photo-sharing social media app available online. While you may consider it a relatively new app, the reality is that it has actually been around since 2010 in various guises. Social media, such as Instagram, will not just connect you with your customers, but it will increase your visibility, and enable you to gain valuable insights about your fans. If you are struggling with whether or not to use Instagram to promote your business, here are some things to consider. Instagram is most popular between the 18-29 age group followed by the 30-49 age bracket. 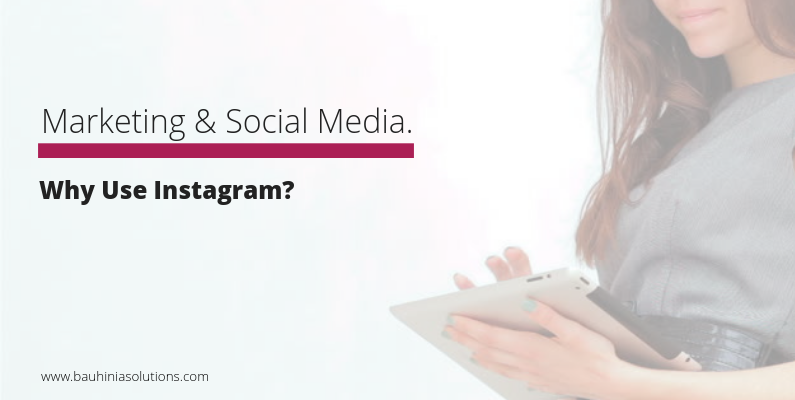 If that falls within your target market, then Instagram may be beneficial. That’s not to say that it won’t help your business if you target retirees, it just might be a bit more of a slow burner. Instagram is gaining traction across all demographics as more and more companies join the platform. If you sell tangible products or offer a photo-worthy service, then Instagram can help move your visual content message forward. As it relies on quality photos to tell your story, it will attract more attention than a text-only marketing message. For artistically inclined businesses, you can get very creative designing a stylishly curated with serious visual impact. If there is one thing on its side, Instagram is a lot of fun to use and browse. With a core audience of younger users, your tone on Instagram can get away with being very informal and even playful, without looking out of place. You can use features like stories to invite your audience behind the scenes and show a lighter side to your brand’s personality. Utilising Instagram as a medium for marketing will allow you to think about marketing in a different way than say LinkedIn, Twitter or Facebook. If you have a low marketing budget (or even if you don’t) marketing on Instagram is free. Whether you are introducing your staff or your products, sharing videos or crafting a stylish curated feed, the app will allow you to connect with your fans free of charge. Through the explore feature, you will be found my hundreds of users that are interested in the product or service you are providing. More than any other social media platform, Instagram runs on influencers. This is the platform for you if you’re keen to connect with brand advocates, who are often very skilled at taking high-quality pictures of breakfast at your café, or their new outfit from your boutique. Often, influencers will review or showcase products sent to them by brands to their huge follower base. Younger audiences increasingly look to peers and online influencers for advice when making purchasing decisions, and Instagram is where you’ll find yours! Creating a branded hashtag and using it throughout your social media efforts, will ensure that you can be found. Regardless of which social media sites you use, there should always be a level of consistency to your work whether it concerns content, images or hashtags. More than any other platform, Instagram relies on hashtags to direct users to the content they want to see. A branded hashtag will allow customers to browse your collection, as well giving you the chance to find and connect with your fans. Using related or trending hashtags on your posts will allow your business to be discovered by potential customers. I hope these reasons help you with your decision on whether you explore Instagram as a marketing tool. If you’re struggling to get started with your social media marketing, organise a call with Nicole to find out how we can help you develop and implement a social media marketing strategy, that showcases your brand on the platform, that’s right for you. Lauren is an experienced Digital Marketing Professional who enjoys the creative elements of drafting posts to driving engagement online. As a Client Manager she supports our clients who need digital and social media assistance.